Antoine “Fats” Domino, one of the pioneers of early rock ‘n’ roll music that helped bridge the gap between African American and white audiences, died the morning of October 25. Jefferson Parish Medical Examiner’s in Louisiana declared the 89-year-old Domino to have died from natural causes. With hits such as “Blueberry Hill”, “Walking to New Orleans” and “Kansas City, Domino skyrocketed to fame in the early 1950’s and maintained success until the 1970’s. He was able to incorporate the jazz and blues of his hometown of New Orleans into the rising sounds of harder drums and amplified electric guitars. By blending the old sound with something that was on the cutting edge of music for the 1950’s, he was able revolutionize rock ‘n’ roll. Over a twenty year career, he was able to top the Top 40 billboard more than 30 times, including 23 gold singles. 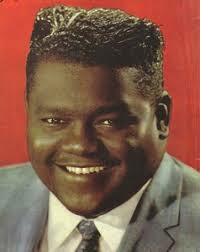 Fats Domino Dead at 89. As his career spanned decades, Domino influenced many artists in their style of music including Elvis Presley, Paul McCartney and Norah Jones. In 1986, Domino was inducted into the Rock ‘n’ Roll Hall of Fame. The news of Domino’s death spurred many celebrities and entertainers to express their love and gratitude for the rock ‘n’ roll titan.